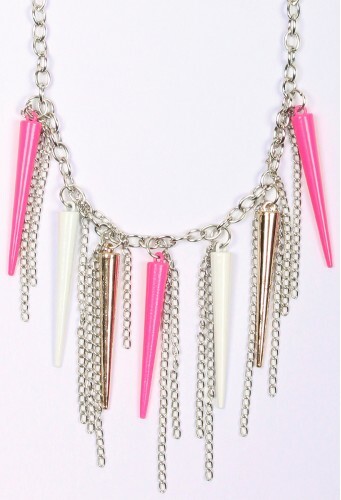 Silver chain necklace featuring chain tassles and multicolored spike pendants. Features lobster clasp closure, adjustable length. Looks awesome with a high collared top and platform heels!